Welcome to Annandale Youth Lacrosse! We are an organization dedicated to growing the sport of lacrosse for our youth of the greater Annandale area. We participate in the Northern Virginia Youth Lacrosse League (NVYLL) in the girls and boys divisions in the spring league. AYL serves boys and girls in elementary and middle school who reside in Fairfax County and represent the Annandale, Falls Church, Lake Braddock, Justice and WT Woodson High School pyramids. This is determined by the players residence regardless of the actual school they attend. 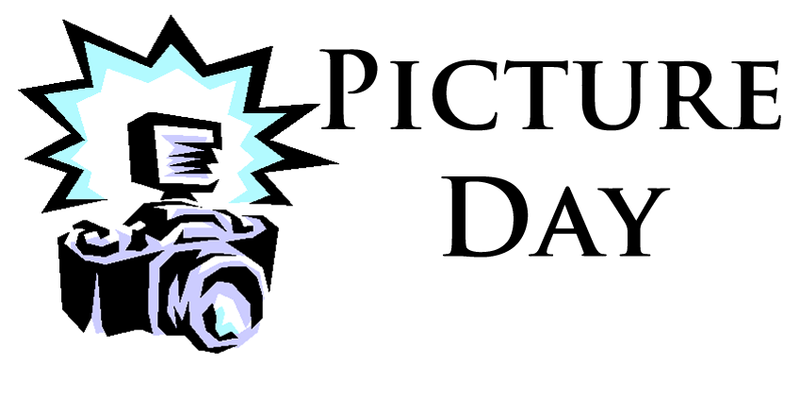 Team Picture Days are being scheduled with the coaches. Click here to download the order form for your player to have ready on arrival. 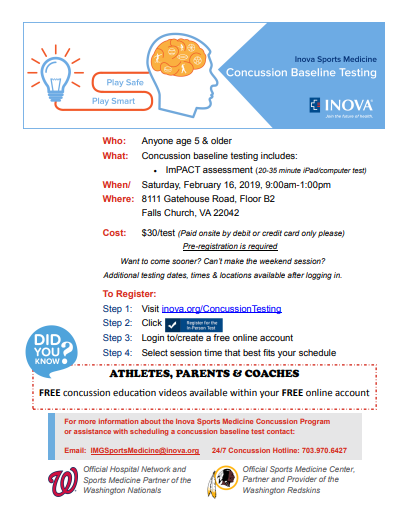 Annandale Youth Lacrosse is proud to announce partnering with Inova Sports Medicine and their concussion baseline testing for local families. The Inova Sports Medicine Concussion Program is a physician-based team of experts trained in recognizing the signs and symptoms of consussion quickly to optimize and individualize care, recovery and return to play. A component of this is concussion baseline testing. Concussion baseline testing is recommended for all athletes engaged in sporting activites. Although your child may not experience a concussion it is important to prepare and obtain a baseline to establish athlete-specific data which allows physicians to better manage concussion if it does occur. Generally, it is recommened that a concussion baseline be established prior to the season but baseline testing can be completed at any point during the season. Annandale Youth Lacrosse families have the opportunity to register for a weekend baseline testing session Saturday, February 16, 2019 from 9:00 a.m. - 1:00 p.m. at the Inova facility located at 8111 Gatehouse Road, Floor B2 Falls Church, VA 22204. Click here to register today. [Note there is a $30 cost for the testing] Unable to attend the special weekend session, families are always welcome to visit at another time. While you never expect it to happen whether on the playground at school or any activity, having the baseline is an important treatment and recovery tool for physicians and parents. 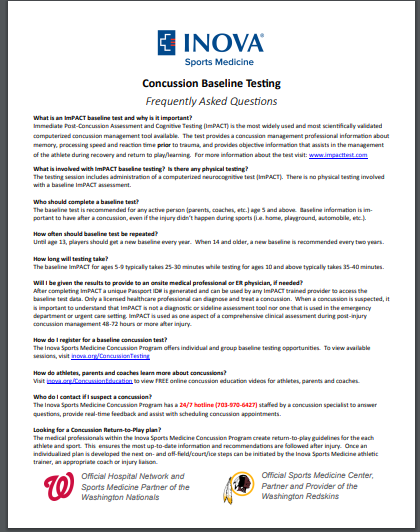 You can also click on the images below to download flyers with additional information about concussion baseline testing. Families concerned about concussion and need help indentifying symptoms or scheduling a concussion appointment? Contact the Inova Concussion Hotline: 703-970-6427. It is time to register for the Annandale Youth Lacrosse 2019 season! This spring we will be fielding teams for boys and girls in Kindergarten - 8th grade. Clinics will start the end of January with field practices beginning in March. Teams typically practice 2 times a week with boys games on Saturdays and girls games on Sundays. Students in the Annandale, Falls Church, Woodson, Justice, & Lake Braddock High School pyramids are eligible to play with Annandale Youth Lacrosse. Practices held in most locations near Braddock Road and 495.